What Does a Real Recovery Looks Like? What does a real recovery look or should look like? Better than what we have seen over the past four years. Since 2009, we have technically been in a recovery, but as I have pointed out, this has hardly been a robust recovery. So what would a robust recovery look like? For one, simply looking at the early 80’s during the Reagan era would be a start. In July of 1981, the economy fell into a recession just one year after a previous recession ended. 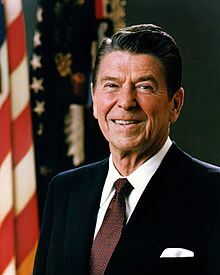 To those who state that this present downturn was the worst economic downturn since the Great Depression often forget that Reagan inherited double digit inflation and the unemployment would eventually soar to nearly 11%, higher than what Obama inherited or saw at the worst of this present recession. Reagan's policy of sound money, across the board marginal tax rate reduction, deregulation, and domestic spending restraint led to a robust recovery that has put Obama's faux recovery to shame. In a similar period, Reagan's GDP growth nearly tripled what Obama has managed. While long term unemployment has gone up under Obama, it dropped 49% during the Reagan era with the average weeks the unemployed were out of work being only 15 weeks compared to nearly 40 weeks under Obama. Reagan created more than three times more pay roll jobs than Obama. While the average American has seen their income drop under the Obama recovery, they saw their income rise during the Reagan recovery! Finally, more Americans are now on food stamps and living below poverty levels, whereas Americans needing food stamps dropped under Reagan. What you shouldn’t see in a recovery is a rise in Americans going on food stamps and income going down along with decline in the labor participation rate. Under Obama, we have seen exactly that plus trillions of dollars of deficits as long as the eye can see with no real plan to actually reduce it or a serious plan that has been discussed during this election. Another example was the 1920 recession and subsequent recovery. If there was an overrated President, Woodrow Wilson would be that President. Like Obama, Wilson refused to work with the Republicans when it came to his league of Nations. Wilson's arrogance and unwillingess to listen to Republicans' objections and compromises cost Wilson the United States participation in the League of Nations. If Wilson's diplomatic skills were not disastrous enough, his management of the economy in the post War period was a near disaster. Warren G. Harding inherited an economic mess as bad as Reagan or Obama but we rarely hear about it for many reasons. One reason was that many historians' worship of Wilson often overlooks his poor management of diplomacy after the War, his overbearing matters, or his lack of civil right protection. (Jonah Goldberg noted that thousands were arrested during World War I for essentially opposing the war including Eugene Debs, the perennial Socialist Presidential candidate.) The second reason was that Harding's solution of tax reductions combined with budget cuts led to a quick recovery. When Herbert Hoover faced an economic downturn later in the decade, he failed to follow Harding’s lead and increased taxes, increased spending, started a trade war while the Fed tightened money during a deflationary period. The rest as they say is history. Obama's recovery pales in comparison and with international trade declining, Europe's slipping in recession and China's economy slowing down, the next President may inherit a mess so maybe one question that needs to be answered is what has Obama learned from history?